"Maltiel is diligent and enthusiastic about his assignments. We plan to use him again. " Apple A7 Foundry:TSMC, Samsung, Intel? Semiconductor Foundries:Strong Q2, but Slowdown..
Apple Cutting Out Samsung Chips? 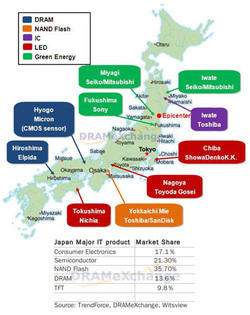 Japan Fading in Semiconductor Fabrication? Samsung, Hynix, Micron DRAM Monopoly? Intel: "Fabless model collapsing". Is it correct? Are Japan's Fabs stuck above 28nm Process Technology? When will the Flash be 2x DRAM Memory Market? Is Resistive RAM (RRAM) The Future Flash Memory? 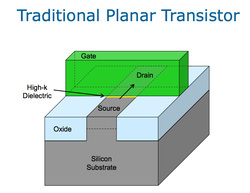 How much of a lead does Intel have at 32nm and for High-K Metal Gate (HKMG) Technologies? Advanced NMOS and PMOS (CMOS) Transistor Junction Fabrication for 45nm Node - Doping, Annealing, Source and Drain Optimization, Ion Implantation, Spreading Resistance. Characterization Tools Overview of Copper Metal Interconnect Integration - Chemical, Physical, Structural, Electrical, Depth Profile, Morphology, Surface Pattern. Contact-Hole Etch Profile and CD Control Improves by Using a Polymer - Impact of thinner resist (PR) layer, Bottom Anti reflective coating (ArF, BARC), and thinner mask. Post-Etch Residue and Photoresist Removal - removal of photoresist (PR) in the front-end-of-line (FEOL), post ion implantation, and back-end-of-line (BEOL) following etching.